Thank you for your interest in one of AUTO WORLD 's online offerings. 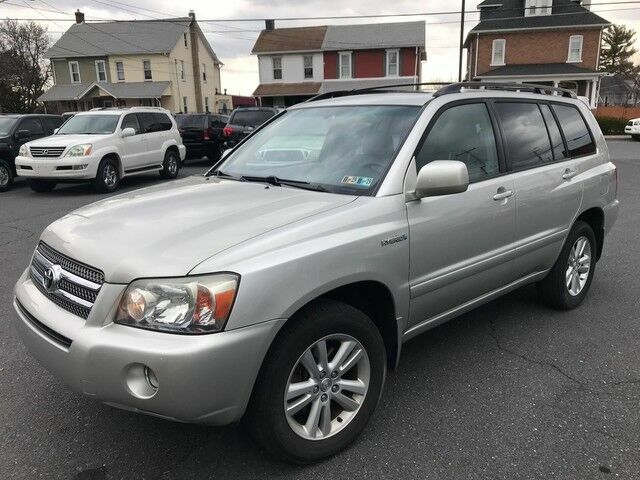 Please continue for more information regarding this 2007 Toyota Highlander Hybrid with 149,505mi. Want more room? Want more style? This Toyota Highlander Hybrid is the vehicle for you. A test drive can only tell you so much. Get all the info when you purchase a vehicle like this with a CARFAX one-owner report. When you purchase a vehicle with the CARFAX Buyback Guarantee, you're getting what you paid for. When Toyota created this vehicle with 4 wheel drive, they immediately enhanced the performance ability. Easily switch between two and four wheel drive to take advantage of the improved steering and superior acceleration. High-performance tires are another option found on this vehicle. The Highlander Hybrid has been lightly driven and there is little to no wear and tear on this vehicle. The care taken on this gently used vehicle is reflective of the 149,505mi put on this Toyota. Class defining, one-of-a-kind options are the standard with this Toyota Highlander Hybrid plus much, much more. This Toyota includes: CARPETED FLOOR/CARGO MAT SET (PPO) Floor Mats REAR SPOILER (PPO) Rear Spoiler PREFERRED FLEET INTERIOR PKG Rear Floor Mats Floor Mats Tow Hitch CLOTH SEATS (STD) Cloth Seats *Note - For third party subscriptions or services, please contact the dealer for more information. * Clean interior? How about flawless. This Toyota Highlander Hybrid looks like has never been used. Buying a pre-owned vehicle shouldn't mean buying a vehicle with scratches, blemishes, and paint touch-ups. Fortunately, the paint on this 2007 Toyota Highlander Hybrid is as flawless as a new vehicle. This vehicle comes equipped with custom wheels. You'll instantly stand out with this hard-to-find 2007 Toyota Highlander Hybrid . Be sure to prepare yourself to get noticed in this ultra rare Toyota Highlander Hybrid. More information about the 2007 Toyota Highlander Hybrid: Besides being one of the most reliable vehicles on the market, the 2007 Toyota Highlander also excels in packaging efficiency. Although it is only a nimble 184.6 inches long, it offers 39.7 cubic feet of cargo space behind the second row of seating. Another 80.6 cubic feet is available with the second row folded down. The highlander is quite flexible, with an available third row of seating, three engine choices (including a hybrid), and both front- and rear-wheel drive. This model sets itself apart with nicely sized, Possibly the best SUV going, reliable, and available hybrid.